-Round shape bag measuring 30 cm in diameter and height with two handles 60 cm. -English cotton fabric printed with flowers in shades of pink on turquoise background, lined in linen coated white and adorned with a flap with pink bias. 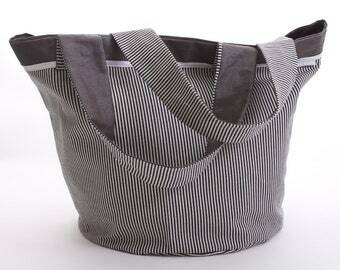 The handles are also lined in linen. -Large capacity this bag is very convenient. 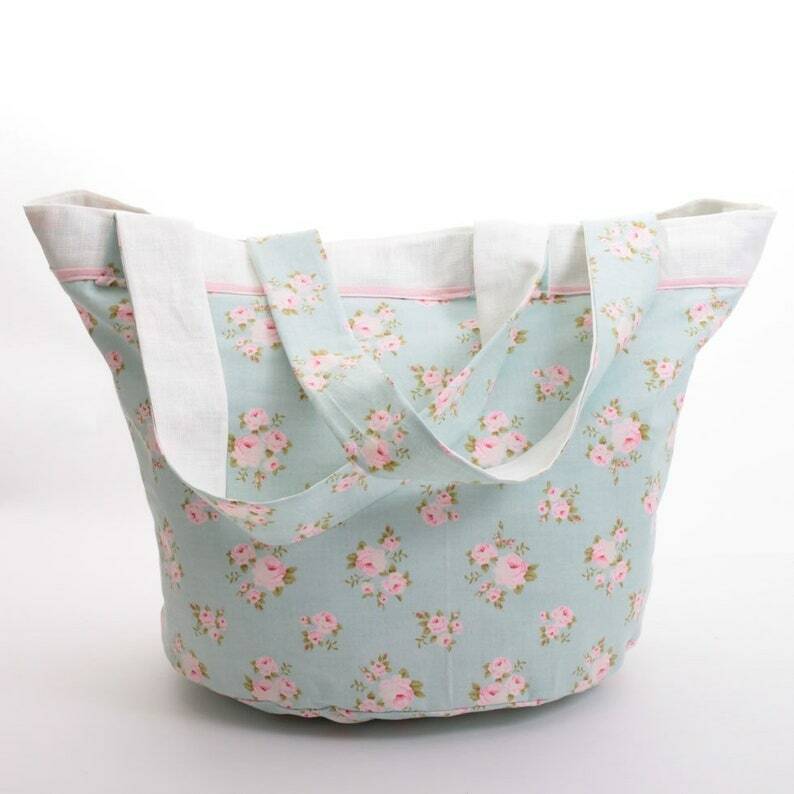 It can be used as a beach bag, bag for the stroller, it will accompany you on weekends or, allow you to store toys in a child's room beautifully. 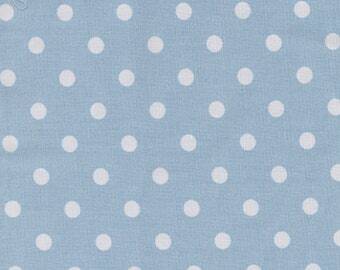 Machine washable at 40 °. Authorized dryer. Normal ironing. 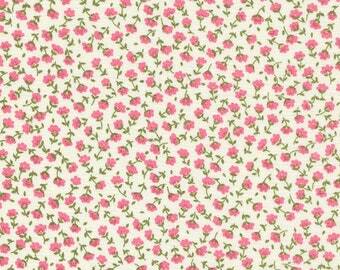 Printed cotton fabric with pink flowers on white background.